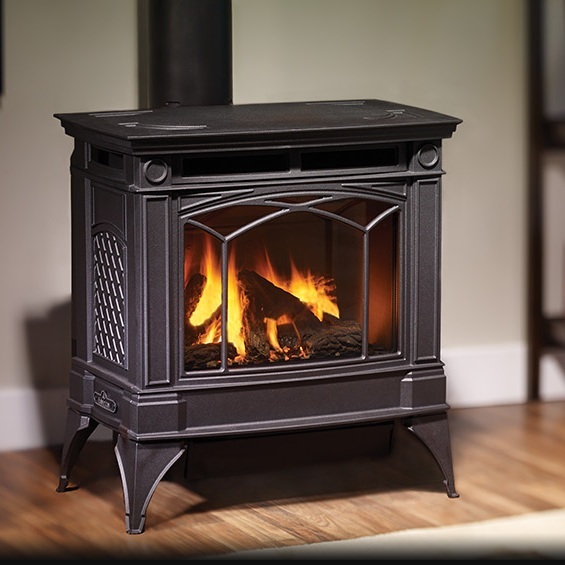 Stoves — Smith & May Inc.
Freestanding stoves burn wood, gas, coal, wood pellets, biomass or are electric. They are generally used to heat a specific room or zone of the house. Stoves are very efficient and control of the fire, heat output, burn times and installation options are greatly improved. A terrific collection of information on hearths, benefits of different fuel choices, and general safety is avaiailable on the Hearth, Patio, and Barbecue web site. Need help choosing the right gas stove for your home? Call us, or stop by our West Rockport showroom to view our floor models. 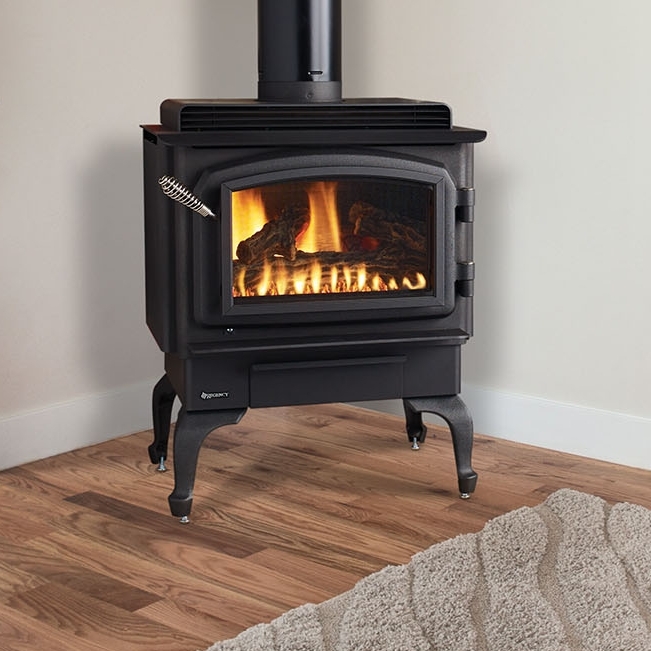 The Regency Classic Gas Stove mirrors the authentic styling of a wood stove with all the convenience of gas. No Chimney? No Problem. With the direct vent option, you can vent up and out of your home saving installation dollars. The clean, modern lines of the Ultimate Gas stove wrap around the realistic gas fire available today. This fire can provide up to 40,000 BTU of high efficiency heat. The Garnet-T is a little heater with a big heart. 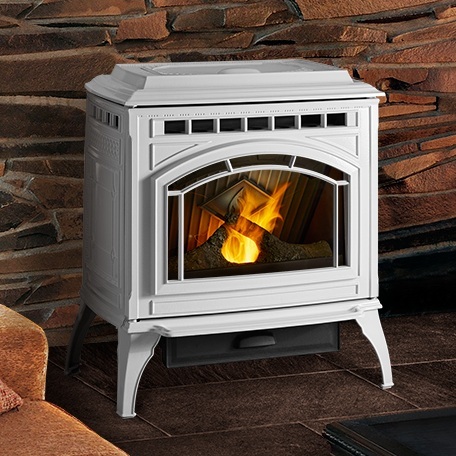 A diminutive footprint and impressive design features combine to make this smallest member of the Quadra-Fire family perfect for the bedroom, den or dining room. 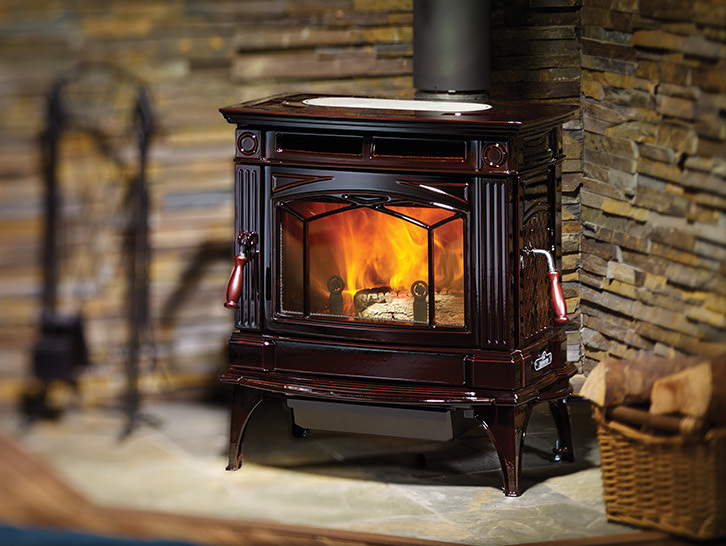 Featuring a TrueGlow ceramic burner and a new, highly realistic log set, The Sapphire boasts Quadra-Fire's advanced flame technology for maximum fuel efficiency and high output levels. Direct venting offers more installation options. You can add extra functional charm to your beautiful Sapphire stove with optional warming shelves. You have a wide choice of colors for your Topaz ranging from classic black to one of the four stunning colors. There are also two different fronts available. Optional warming shelves available. With top or rear direct vent options, your new Topaz can be installed just about anywhere. The Portrait Fireplace series uses a common direct vent "engine" module that has numerous advanced design features for the ultimate in performance, ease of use and application versatility. fies your comfort needs with up to 25% less overall energy compared to forced air systems. Each stove represents the leading edge of European freestanding design with advanced convection and radiant heating technology. The Mirage 30 represents the leading edge of freestanding design for larger spaces. Beautifully clad in lustrous porcelain enamel, inside each Mirage is a powerful engine. The Trenton cast iron freestanding gas stove combines the traditional design with today’s modern gas technology. It has decorative doors to swing open to reveal an unobstructed window of full, rich flames. Regency Contura RC500E gives a light and modern impression to any home. Available in black or white, you can customize this modern gas stove with a traditional log set or ultra-modern shimmering crystals. Stunning flame view from three sides. Need help choosing the right wood stove for your home? Call us, or stop by our West Rockport showroom to view our floor models. The Hampton wood stove has been tested to the most rigorous environmental standards. 45,000 BTU of high efficiency heat, wood can be loaded from either the front or side, available in matte charcoal, enamel ivory, slate blue or timberline brown. A beautiful combination of soft lines and delicate textures make this cast iron stove the perfect artistic backdrop for a roaring fire. 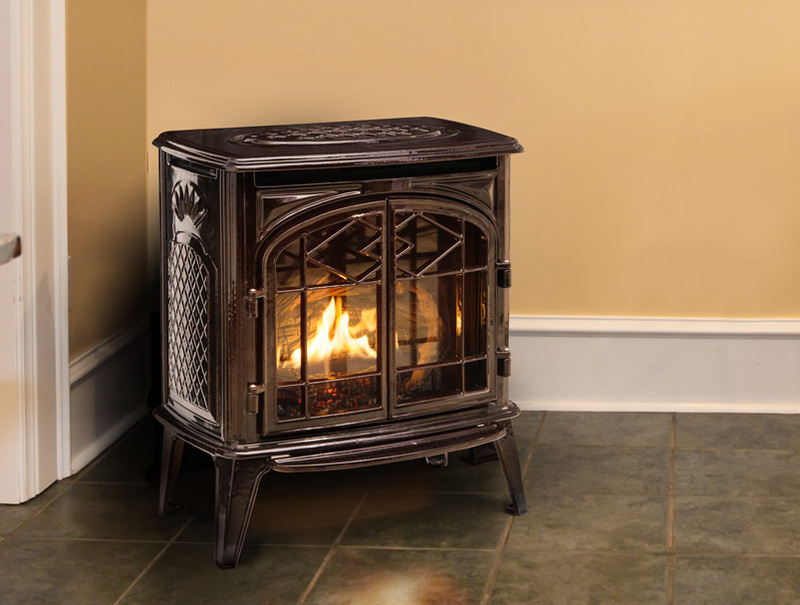 Convenient and efficient, this wood stove will keep your home comfortable all year-even during power outages. Available in 3 sizes! Regency's clean burning technology meets environmental standards and ensures clean glass. Customizable with a pedestal base or cast iron legs in black, brushed nickel or 24k gold plate, and door in black, or 24k gold plate. 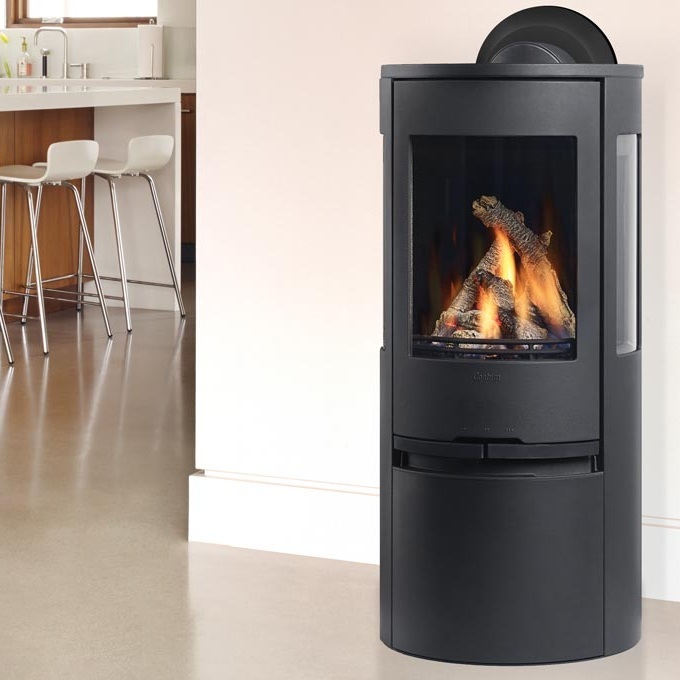 The striking design of the Alterra CS1200 contemporary wood stove puts the focus on the brilliant glowing fire. With an impressive 20% greater viewing area than traditional wood stoves, and a handy fire-wood storage area. For small to medium living areas you can enjoy all of the fire power and styling of the F5100 in a more compact model. Get maximum heat and a clean burn with the Quadra-Fire four point burn system delivering up to 65,800 BTU's. Space saving wood storage bin, holds a days worth of wood. Personalize your stove by choosing the included tile side or the solid side panel. Tile side uses any 12 x 12 ceramic tiles. Solid side can be left black or painted using high temperature paint. Elegant, small in size and surprisingly powerful. The Vista Classic has all the features of The Spectrum series wood stoves; high efficiency rating, user-friendly operation, and will look so good in your home. Reliable, durable non-catalytic technology. Air wash system for super clean ceramic glass. Easy to use ash disposal system. Alderlea T5 is now in your choice of Majolica Brown or Classic Black porcelain enamel. Elegant, traditional cast iron styling combined with the very best features of both cast iron and steel stoves, offer you the perfect blend. The Domino is every homeowners dream and is available in two sizes, 8 Maxi (shown above) and 6 Maxi. The Domino 8 Maxi measures 31" wide and is a standard cook stove. The Domino 6 Maxi measures 24" wide and is perfect for kitchens with limited space. Winner of the prestigious Reddot Award. The Shaker's small size makes it suitable for every type of residence. It comes in black steel and measures 41” high, 34” wide, and 21” deep. Available with a short table that has a small shelf under the door or with a long table that has a bench. The latest advance in the way things used to be... The Fireview is a high-efficiency, air-tight wood-burning cookstove that is perfect for home, cottage or camp. It serves as a high-output room heater, a cooking appliance, an attractive fire-viewing woodstove. The Chinook 30 has a modern European design and is available in two styles. The curved sides have a softer appearance while the flat sides have a more modern style. The Princess has a large 2.85cu.ft. firebox. All Blaze King catalytic stoves have a thermostat control to allow you to regulate the heat output making them usable in a wide variety of home sizes. The Ashford 30 has a beautiful Cast Iron body which is available in three colors, metallic black paint, midnight satin enamel and chestnut high gloss enamel. The Ashford 30 uses our cleanest burning firebox at 0.97gms/hour. Need help choosing the right electric stove for your home? Call us, or stop by our West Rockport showroom to view our floor models. The Stockbridge Electric Stove sets the stage perfectly for the revolutionary Opti-myst® flame and smoke effect. From the high gloss finish to the working doors, the authentic details combine with dazzling water mist flames to create an eye-catching focal point in any room. This electric stove gives the instant ambiance of a traditional fireplace experience that is ideal for all living spaces large and small. It features a rich gloss black finish that will compliment any decor. With its fashionable door handle, gracefully swept legs and carved side panels. Pellet fuel is a renewable, clean-burning and cost stable home heating alternative currently used throughout North America. It is a biomass product made of renewable substances – generally recycled wood waste. There are currently more than 600,000 homes in North America using wood pellets for heat, in freestanding stoves, fireplace inserts and even furnaces. North American pellets are produced in manufacturing facilities in Canada and the United States, and are available for purchase at fireplace & stove dealers. Biomass fuel includes wood & agro pellets and most whole grains, including wheat, barley, rye & feed corn. Call us or stop by our showroom, and we'll be happy to help you choose the right system for your home. The Castile offers patented automatic ignition and jam-free feed systems, an exclusive aluminum heat exchanger, and a revolutionary easy clean firepot. Exceptionally quiet operation, a large hopper and flexible fuel options make the Mt. 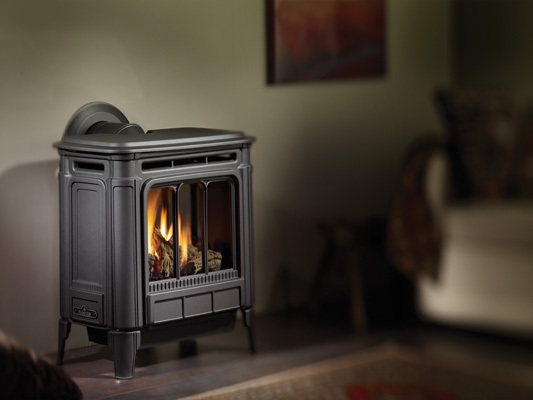 Vernon the best pellet stove available. Now in porcelain deep blue finish! The Santa Fe features a contemporary design in a compact size. The thermostat controlled heat settings allow the durable engine to automatically and efficiently heat any room. The new Trekker pellet stove with Efficient Energy (E2) technology is the most powerful and efficient pellet stove ever designed by Quadra-Fire. E2 technology helps achieve 83.2% efficiency—saving money by burning less fuel. The Ego's innovative Active System instantly adjusts the combustion air to compensate for minor variations in pellet size and density. The stove determines the perfect amount of air to obtain the best possible combustion. This environmentally-friendly heater combines all of the best features of traditional cast iron with the latest developments in alternative fuel technology. 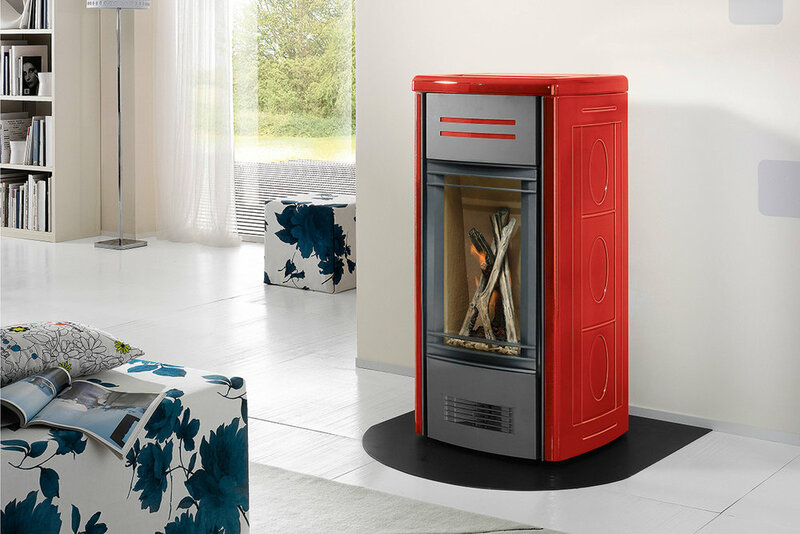 This freestanding pellet stove (GC60) can burn wood pellets, corn, wheat & barley at maximum efficiencies for very cost effective home heating. Compact yet versatile, this stove with classic styling is ideal for heating medium size environments. Ceramic sides available in three colors. 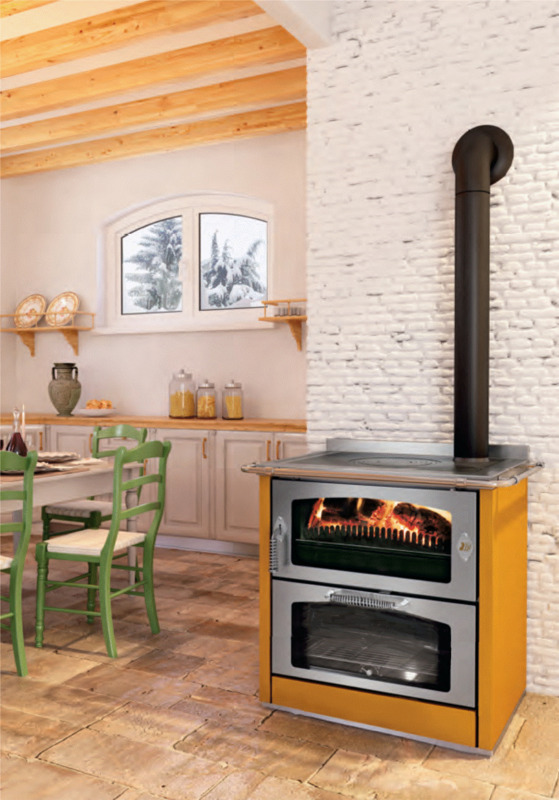 Piazzetta stoves enclose a technological soul which guarantees functionality, reliability and efficiency. Many styles, sizes and colors available. Choose from a wide range of styles that complement any décor, and enjoy the security of knowing your hearth pad meets all government safety standards. Call us or stop by our showroom, and we'll be happy to help you choose the right hearth pad for your stove. These distinctive pads are crafted from a variety of fine tiles and slate — expertly finished for maximum durability. Choose from a wide range of styles that complement any décor. The affordable Modular Hearth protects your floor and deck from falling embers and messy spills. By joining individual tiled panels with our unique locking system, you can make a beautiful ember protector in minutes. The same item as the stove board, meant to extend your existing hearth. Perfect for gas, pellet, wood, or coal stoves that only require ember protection. Gas hearth products are vented in three ways: natural draft (vented through the roof), direct-vent, and vent-free. Below are the options for gas hearth appliances. Natural draft hearth appliances take in combustion air from inside the home and vent products of combustion outside the home. Direct-vent appliances draw combustion air from the outdoors and exhaust its combustion products to the outdoors, eliminating the need for a standard chimney system. A glass panel in direct-vent units is critical to keeping the combustion system sealed from the home, maintaining high efficiency and indoor air quality. Direct-vent piping can go out the wall directly in back of the unit or go upward from the top of the appliance then though the wall or roof. Various models differ. Check with your retailer. Currently, the majority of gas fireplace sales are direct vent units. Unvented and vent-free refers to the kind of hearth appliance that draws its combustion air from inside the home and is designed to burn so efficiently that it eliminates the need for venting. Caution should be used in choosing a vent free stove or fireplace. Moisture content and other products of combustion can cause adverse effects to wall and ceiling finishes. Persons with respiratory problems or allergies should avoid vent free appliances. Wood burning stoves are primarily vented through the ceiling with high tech insulated chimney piping or through an existing masonry chimney. Wood stoves connected to masonry chimneys require an approved chimney liner. Chimneys that do not contain a liner in serviceable condition and be re-lined with stainless steel or poured refractory liners. Exterior masonry chimneys should have an insulated chimney liner to reduce risk of excessive creosote build up. Pellet stoves are power vented and can be installed almost anywhere in the home, including through a ceiling, through a wall, or into an existing masonry chimney as long as the installation includes at least 3 feet of vertical chimney. Pellet stove chimneys are unique and are usually 3 or 4 inches in diameter. Masonry chimneys require clay or stainless steel liners. We stock high grade venting components for direct vent and natural vent gas stoves and fireplaces as well as pellet stove vent pipe. For wood burning chimneys and connectors we feel strongly about providing high grade components that can safely handle the higher temperatures and stress of wood heat. We are confident providing class A insulated stainless steel chimney systems and stainless steel chimney liners and Maine made Elmers heavy gauge welded seam stove pipe for a safe, long lasting wood stove connection. We also carry double wall direct cooled stove pipe for situations requiring close clearance to combustibles.